The 2019 election had come and gone, bringing with it experiences pivotal to shaping the rhetoric of Next-generation leaders. Although the election could have been utilized to rid Nigeria of the current ruling class, it however was a recalibration of the old ways, only that the current landlord of our country decision making body still held sway to power. The passage of the #Nottooyoungtorun bill reaffirmed my beliefs and strengthened my resolve in challenging for the position of the National Youth leader of KOWA party last year, with optimistic intent of making the difference in the process of ensuring that young, competent, and intellectually inclined people envelope the political space. However, the results of the elections didn’t favor KOWA party yet, I wish to reiterate my commitment to the ideals of a better Nigeria, where security of lives and properties are guaranteed, basic amenities of life is readily available, and young people have a stake in the decision making process as against the high level of puppetry currently witnessed in the political space, while recusing myself from beer parlor conversation and unverified rumors alleging that I have left KOWA party despite turning down many appeal to do so. 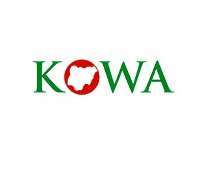 Our desire in not becoming accidental public servants reaffirms my commitment to the political process and despite KOWA Party’s loss at the polls, the emergence of 17 under thirty state HOA members, 82 under thirty-five HOA members, and 12 under 35 HOR members in the 9th assembly inspires my believe in a Nigeria with re-defined dreams. The emergence of these (111) one hundred and eleven young people in the political space is enough win for me as a leader in the youth demography. Ensuring that these new lawmakers excel should by critiquing when the need arise and proffering suitable reforms should be our collective responsibility as young people.